There are many ways of gathering information. Humans impressively devised these ways with the intention of making data gathering easy. One of these methods require using questionnaire templates. In a research, data gathering is just the beginning—you still have to analyze and interpret such data before coming up with a result, which obviously takes time. Questionnaires cut the data collection time, so the researchers could focus on other processes of the market research. 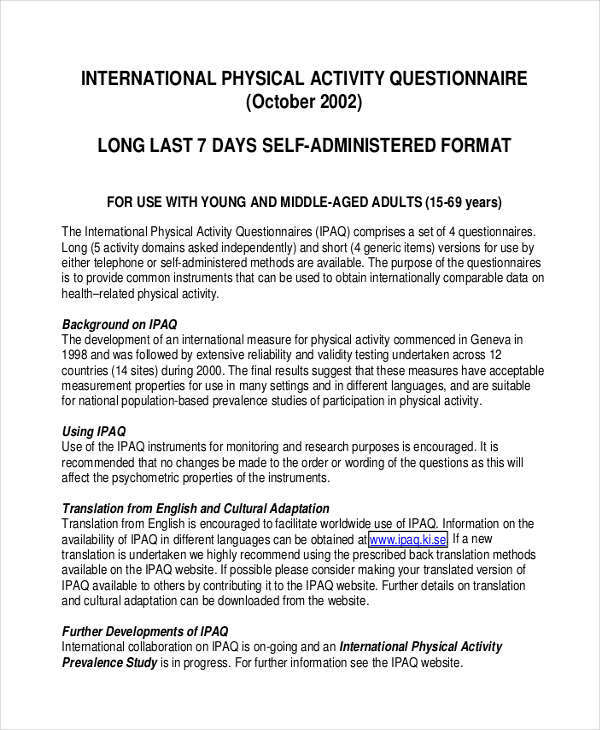 One example is a physical activity questionnaire. 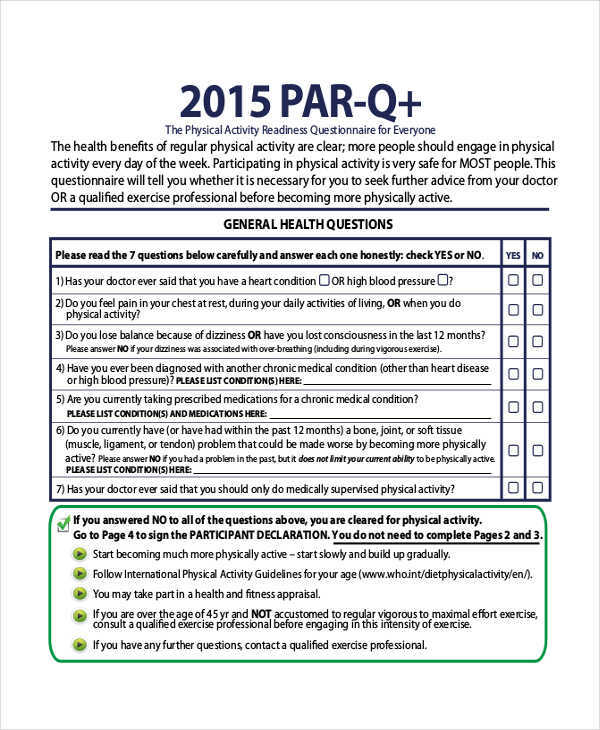 What Is a Physical Activity Questionnaire? 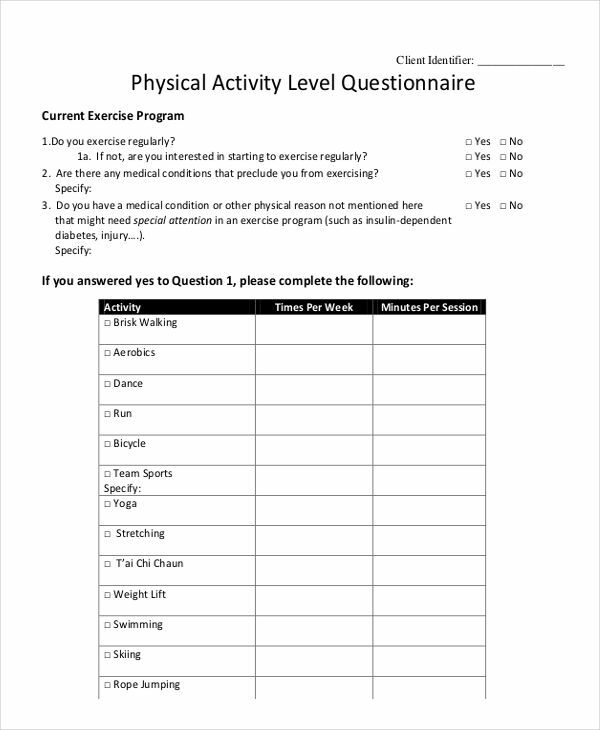 A physical activity questionnaire is a questionnaire examples in word containing questions about an individual’s physical activity. 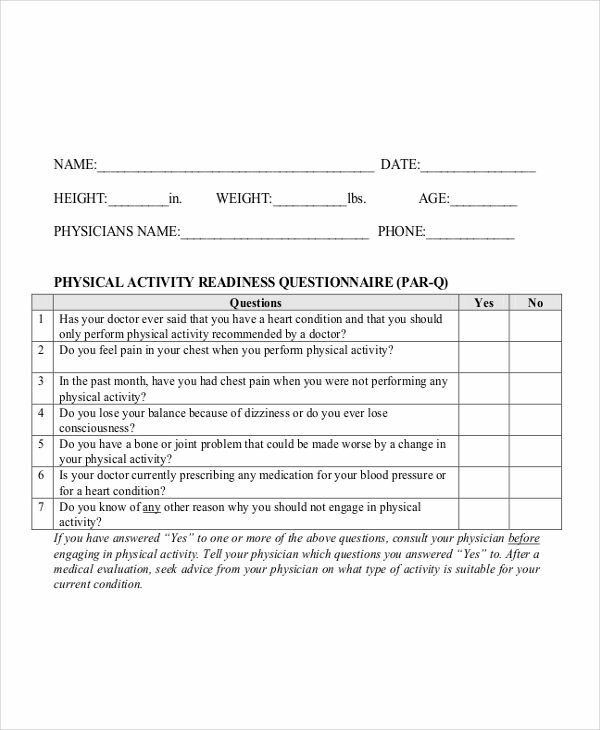 Generally, a physical activity questionnaire is intended to gather information about a person’s physical activity in order to analyze his/her physical activity levels. 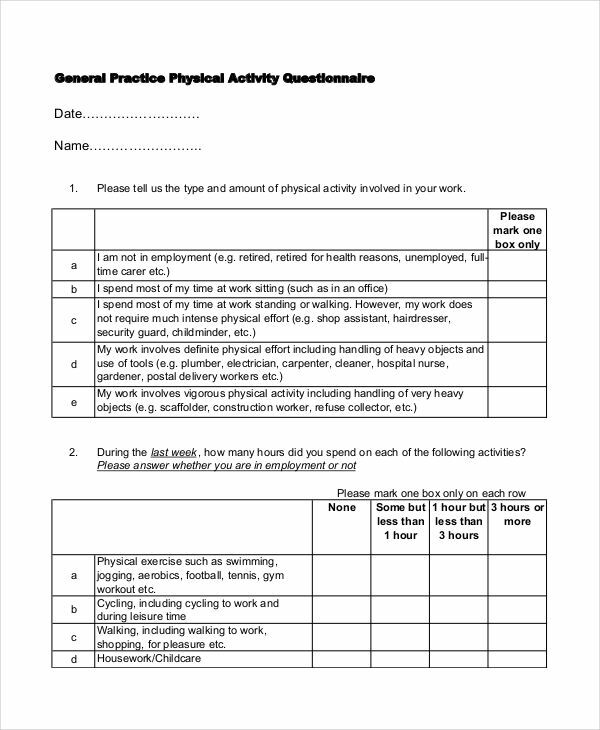 A typical physical activity questionnaire includes questions about the different physical activities an individual does in a certain period of time, for example the different exercise routines he/she does everyday. Physical activity generally refers to a person’s bodily movement. Biking, playing sports, dancing, and even walking are considered physical activities which require different amounts of the body’s energy. 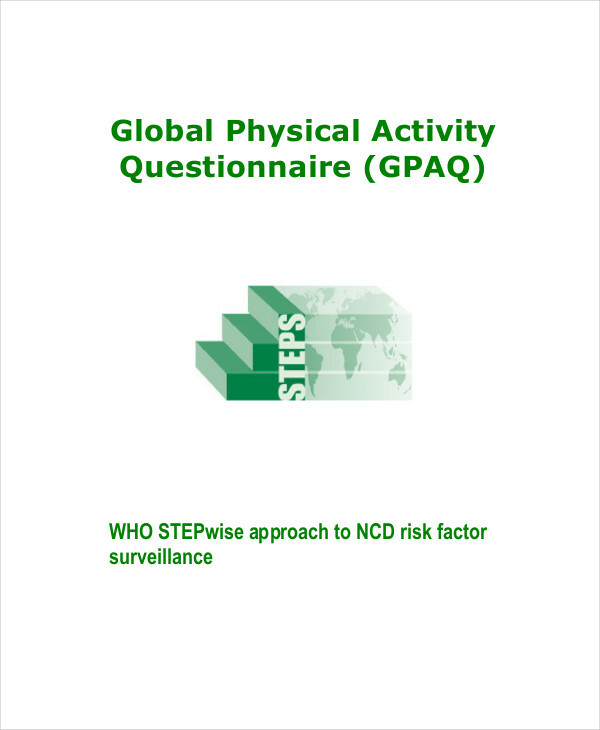 A person’s physical activity in the right levels can help determine a person’s physical (or mental) well being. Questionnaires. 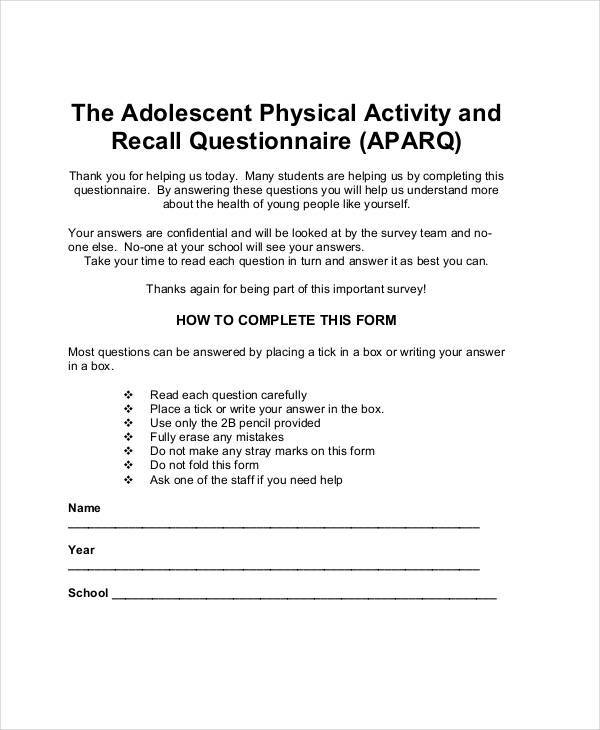 Also known as self-administered questionnaires, which basically asks the respondent to recall the different physical activities he/she has done for the past week, month, or year. Logs/records. This is the individual’s daily record of the physical activities that he/she has been doing for a specific time frame. Observation. This is usually done by trained human observers who observe the physical activity of certain individuals in places like a classroom, parks, etc. There are certain methods of observation, however, that does not involve human observers. Devices. These are the things that monitor the physical activity of an individual, such as heart-rate monitors, pedometers, armbands, among others. Set a goal. 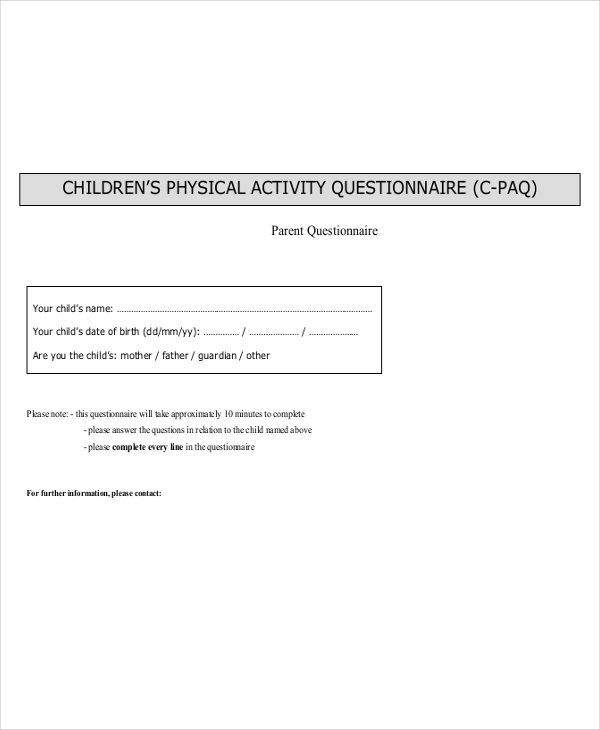 You need to ask yourself what the importance of the questionnaire is. What is your main goal? What information do you wish to gather? Make simple and clear questions. Use simple and easily understandable words so your respondents don’t have to waste too much time in trying to understand your questions. Write them in an organized way. Make your questionnaire brief. Do not include unnecessary questions. Keep your questions short so you can shorten your questionnaire length. 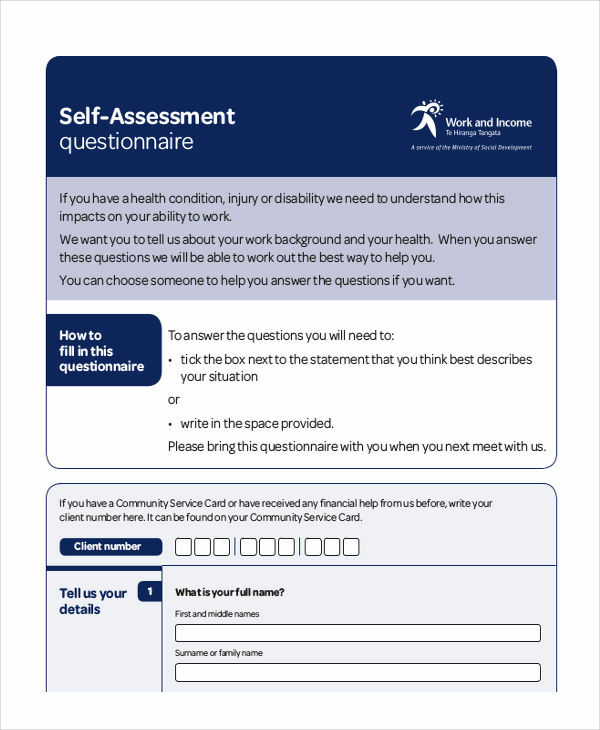 Decide on how to administer the questionnaire. A questionnaire can be administered through the mail, electronic mail, phone call, or one-on-one interviews. Choose the best way to administer your questionnaire. Examine your questionnaire. Recheck for possible errors.